At Sudbourne we are proud to have ‘Advanced Healthy Schools’ accreditation. We aim to provide a healthy, balanced meal to each and every child who has a school meal. The cost of a school meal is £2.40 per day, payable in advance. We encourage all families who think their children may be eligible for free school meals to contact the school office. We can check eligibility quickly and discreetly, and this information remains confidential. The school receives extra funding based on our free school meal numbers, so we can do more to support our pupils if we know they are eligible. 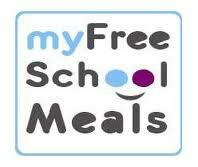 School meals are available free of charge for any child in Reception or Key Stage 1 (year 1 and 2). For more information about Free School Meals for Infants please see the Free School Meals for KS1 letter below. Pupils can also bring a packed lunch to school. In line with our Healthy Schools status, we ask parents and carers to provide nutritious and healthy lunches for their children, avoiding sweets, chocolate and fizzy or fruit drinks (water or flavoured water is preferred). Packed lunches should not include nuts, peanuts or nut based products as we have children with serious nut allergies at school. Please view the menu for the Autumn term 2018 below and the cost of school dinners for Terms 1 and 2, 2018 which please pay in advance online via School Gateway. Thank you.